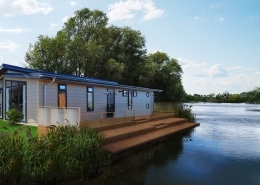 The 2013 Homeseeker Sofia special is a stunning lodge, affectionately know as kingfisher lodge here at Heron Lakes. 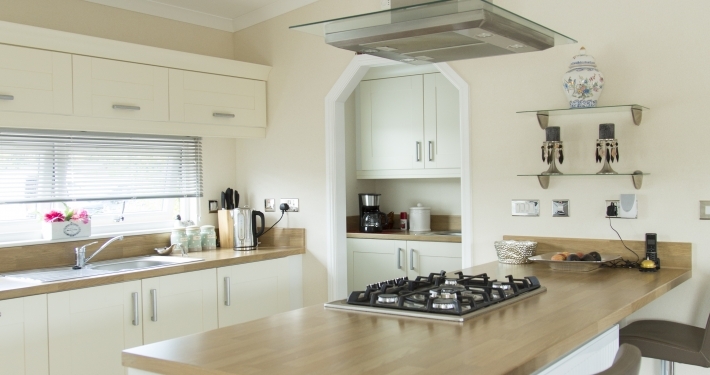 With only one previous owner, it truly is a beautifully maintained holiday home. 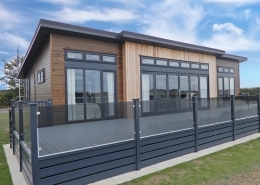 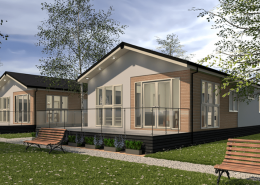 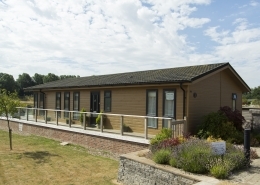 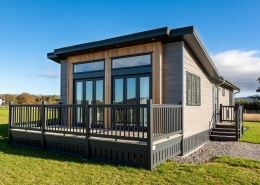 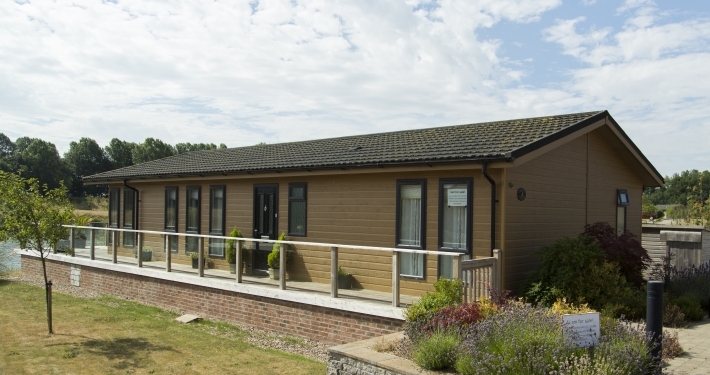 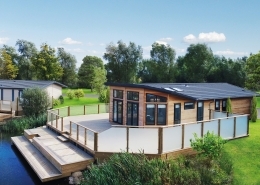 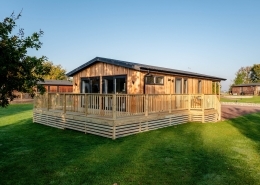 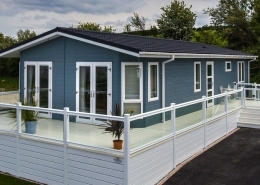 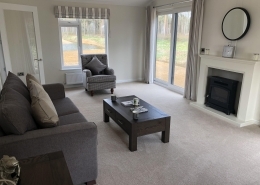 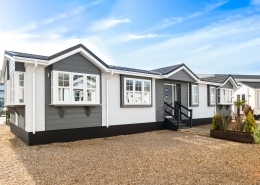 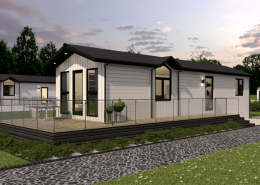 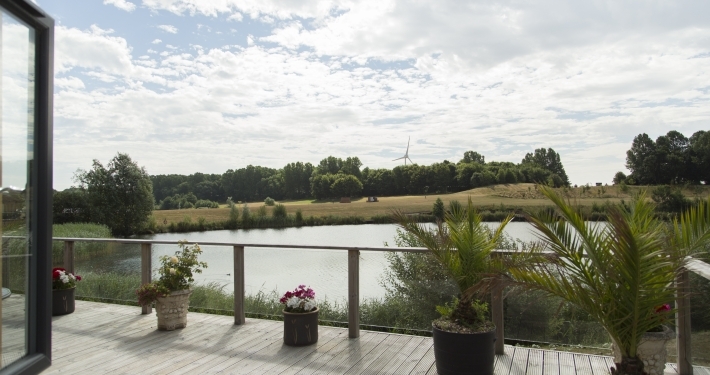 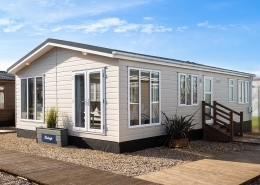 One of our largest lodges on the park the Homeseeker Sofia has a separate living room which opens onto the decking with double french doors letting in the stunning lakeside view of the course fishing lake. 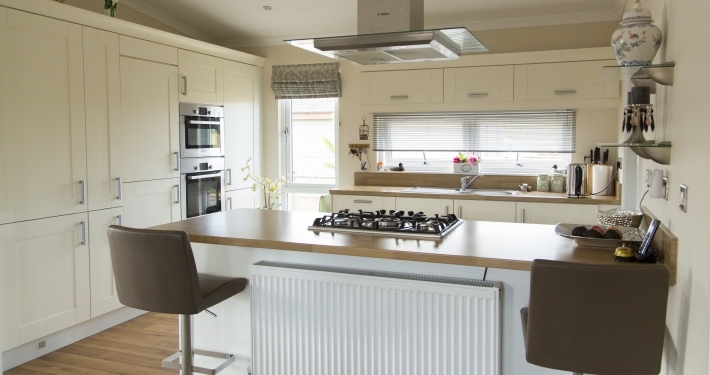 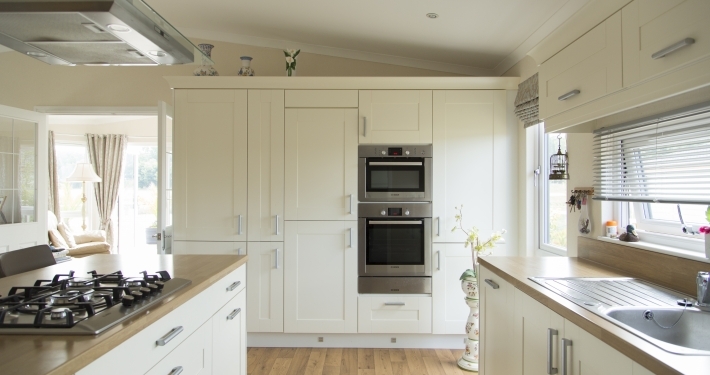 An open plan kitchen with peninsula and plenty of storage space. 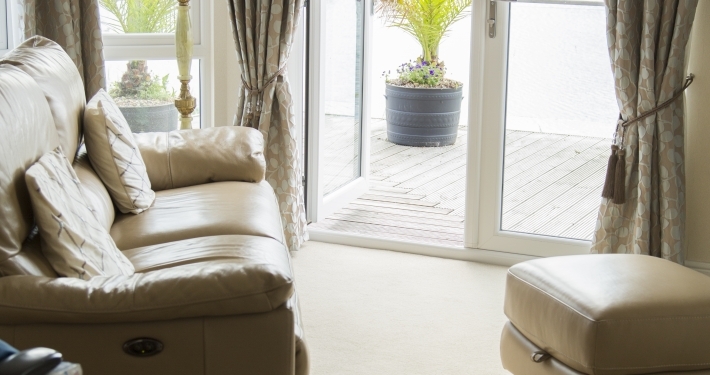 Beautiful floor to ceiling windows flood light into the space. 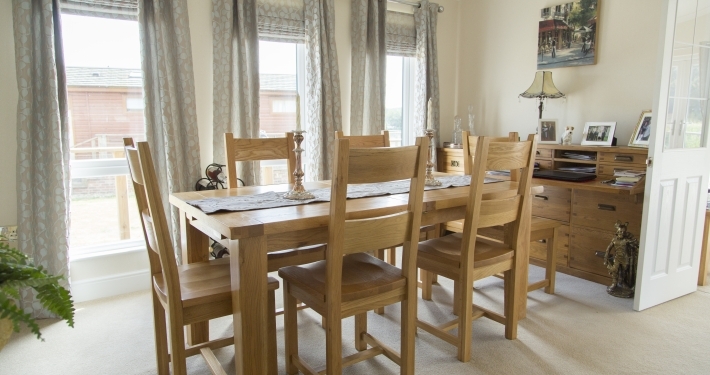 You will find a dining room to the left of the kitchen with space for 6 around the dining table. 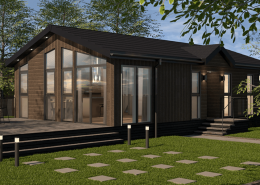 This lodge has 2 spacious double bedrooms, with walk in wardrobe and en-suite in the master and built in mirrored wardrobes in the second. 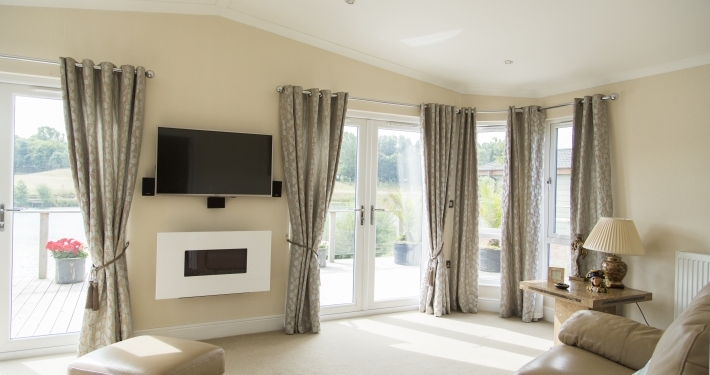 The sophisticated colour scheme flows throughout this lodge pulling all the interiors together. 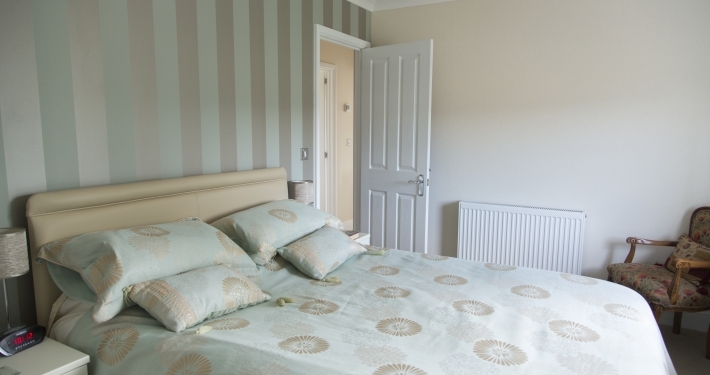 With creams, blues and oaks prominent throughout. 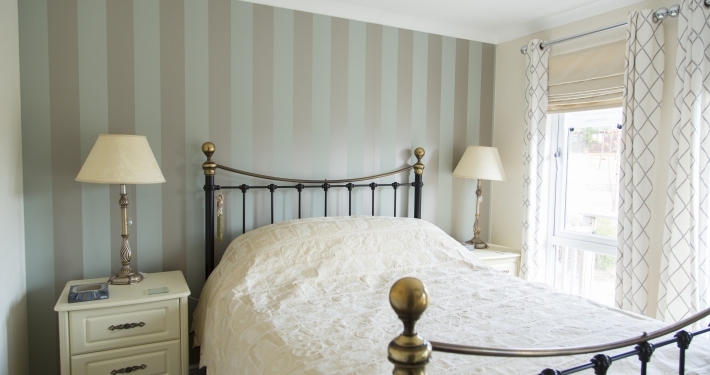 Clad in CanExel in the tone Yellowstone (a soft brown ochre). 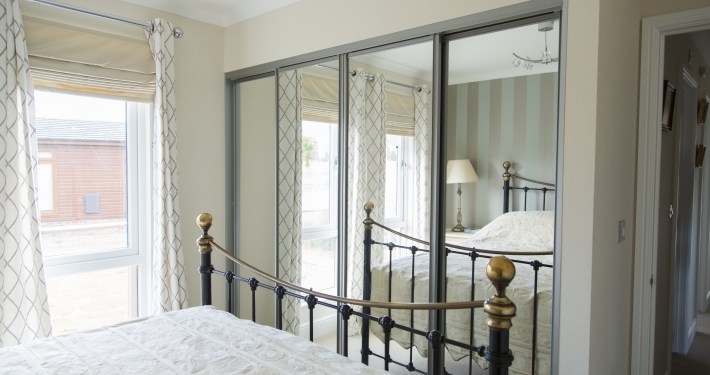 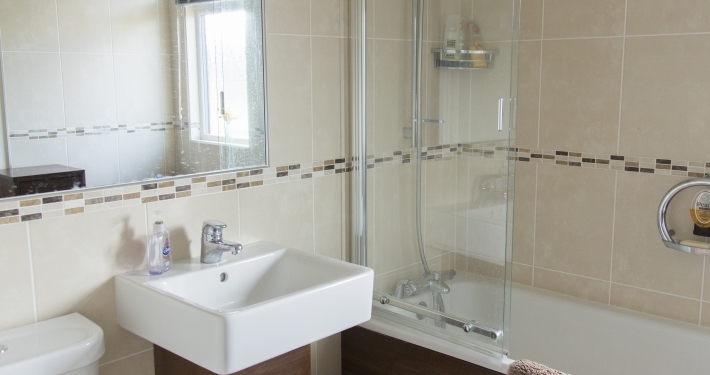 This allows for a maintenance free experience, making your holiday home a stress free space. 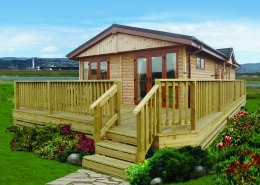 This plot also has a shed and parking spot to the rear of the lodge. 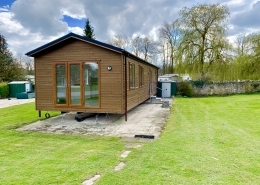 Situated in the more established area of the Park on Plot 43. 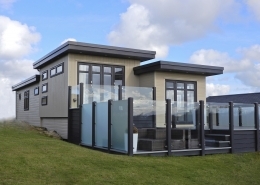 This holiday home is ready to go from day 1.